EDMONTON - Two Alberta Mounties were shot and wounded early Sunday morning during a standoff at a rural home near a community southwest of Edmonton that lasted more than 15 hours. 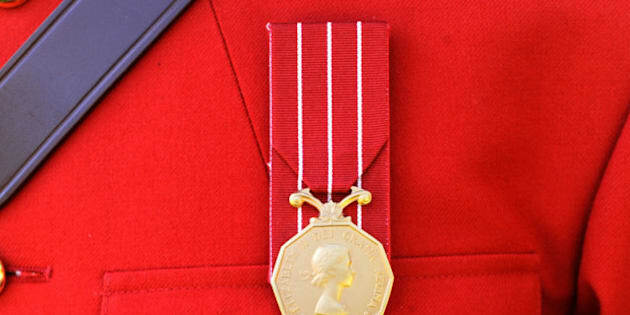 RCMP Sgt. Tim Taniguchi says the officers were part of an emergency response team that surrounded a home Saturday evening about 18 kilometres west of Breton, Alta., following a report that a 35-year-old man had been wounded from a gunshot. The injured man was taken away to hospital, and police say extra resources, including a police helicopter and an armoured vehicle from the Edmonton Police Service, were brought to the scene. Taniguchi said nearby homes were evacuated as a precaution and negotiations between police and people who were inside the home continued. But the situation deteriorated early Sunday. "At approximately 3:30 a.m. this morning, an incident occurred where there was an exchange of gunfire between police and unknown individuals from the residence," Taniguchi said. "As a result, two RCMP emergency response team members were shot and injured." Both were flown to hospital in Edmonton with non-life-threatening injuries, Taniguchi said. Several hours later, police say a man and a woman from inside the home were taken into custody. Both had non-life-threatening injuries, but police aren't saying if they had been shot. "I'm not given those circumstances because it's part of the investigation itself. But I'm told it's non-life-threatening," Taniguchi said. Police have not released any details about the man and the woman who were taken into custody. Taniguchi said there was no one else in the home, which he said was a farm house. RCMP said their serious crimes unit is conducting the criminal investigation, while Alberta's Serious Incident Response Team has been brought in to investigate the police actions during the shootout. Taniguchi said one of the officers, who is a 10-year member of the force, received "superficial" injuries. The injuries of the other officer, who has 30 years of service, were "more serious." He wouldn't comment on the circumstances of the gunfire exchange. "Those circumstances will be part of (the investigation). So it would be inappropriate for me to speak specifically about that," Taniguchi said.